Summer is in full swing which means BBQ parties, pool parties, impromptu cocktail parties and lots of reasons to try new cocktails recipes! To make summer cocktailing a little easier for you, I've put together a list of my 10 summer cocktail recipes from Set the Table. TEN cocktail recipes all in one place. Just for you. That's a good reason to say 'cheers'! Whether you're hosting an Independence Day bash or just need some cocktail ideas in your back pocket for last minute gatherings, this list has you covered. 1. Meyer Lemonade with Roasted Strawberries. Because how could you not love this vodka-spiked beauty? 2. Summer Sipper. Orangey, basily, gin-y. Those are all valid words on Fridays. 3. Campari Basil Mojito. Vibrant red with bursts of basil leaves. 4. Sweet & Spicy Thai Pineapple Cocktail.Sweet pineapple with a little heat from some red pepper. Classic Thai flavors transformed into a beautiful cocktail. 5. Pimm's & Ginger Beer. The classic herbal flavor of Pimm's is kicked up a notch with spicy ginger beer. Cool and refreshing. 6. 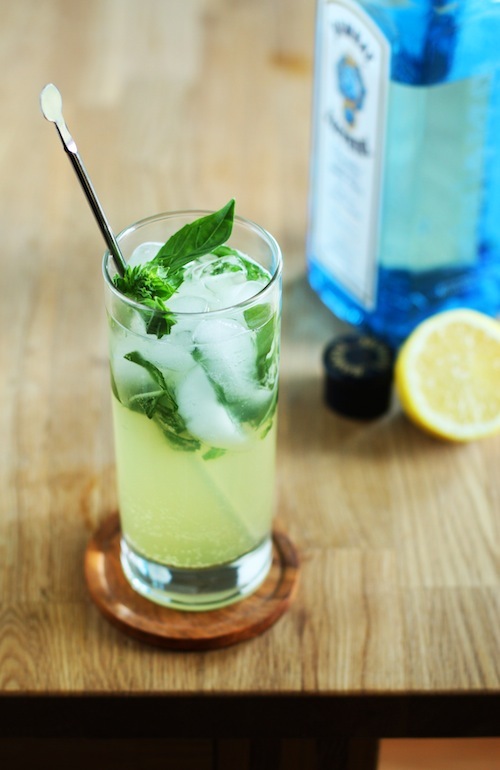 Basil Gin Fizz. This is one of the most pinned cocktail recipes on the site. 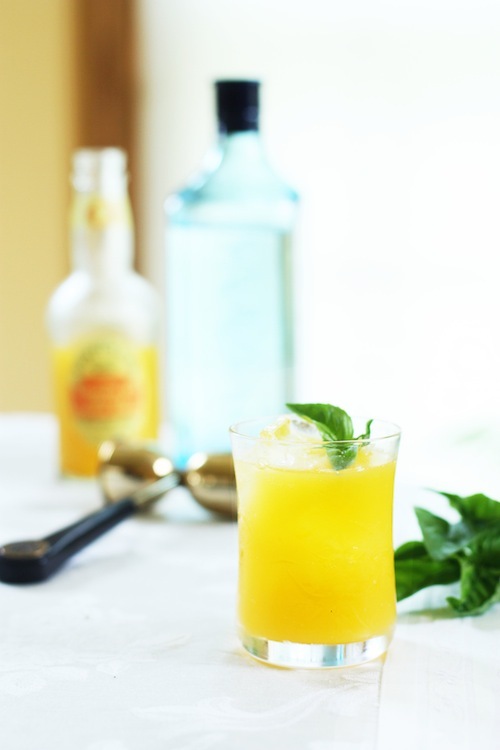 A classic gin fizz is given a summery lift with fresh basil leaves and a hint of honey. 7. Prosecco Float with Raspberry-Thyme Sorbet. This cocktail is perfect for a last minute get together. Just have a bottle or two of prosecco on hand in the fridge and a pint of my raspberry-thyme sorbet in the freezer and you've got everything you need! 8. Boozy Creamsicle Shake. A childhood classic made for adults. This Creamsicle Shake (which can be made boozy or not) is a great way to cap off a fun day at the lake. 9. The Smokey Spicy Lemon. This cocktail is based on a favorite recipe of mine from way back in the day on Tokyo Terrace: The Spicy Lemon. 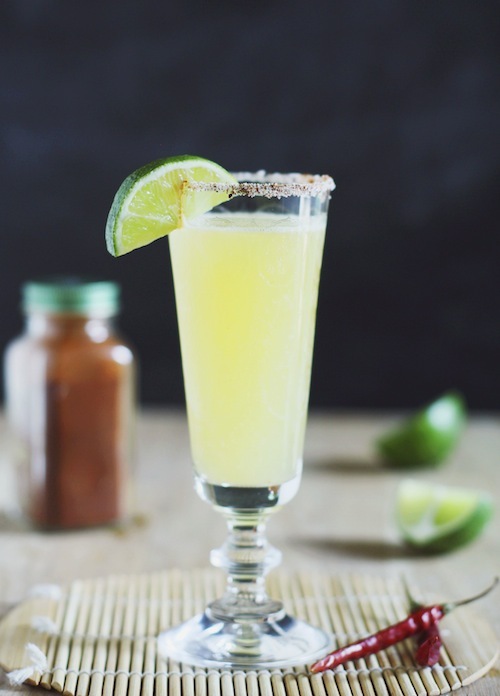 This pretty cocktail is sweet, sour, and has a hint of smokey spice from chipotle powder. 10. Pineapple-Coconut Mojito. This refreshing twist on a mojito is all things summer. 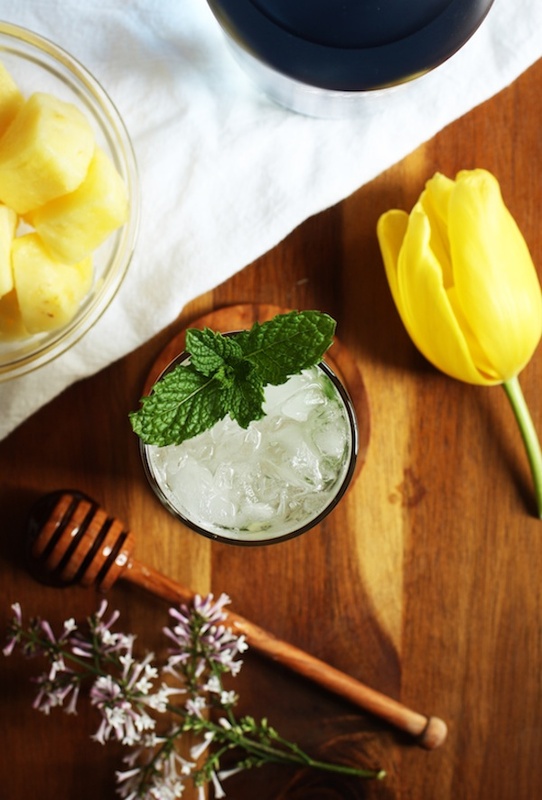 Fresh pineapple, coconut rum, and zingy mint leaves make this a must-make for summer! There you have it! Ten perfect summer cocktails. Have a safe, fun, sunburn-free summer!